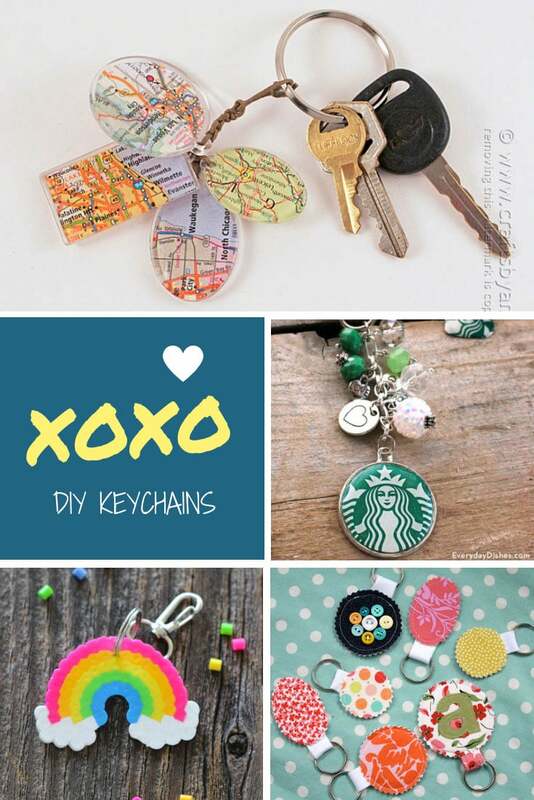 These homemade DIY keychain ideas are perfect for you or as gifts for friends and family. Don’t miss the beaded keychains! So cute! 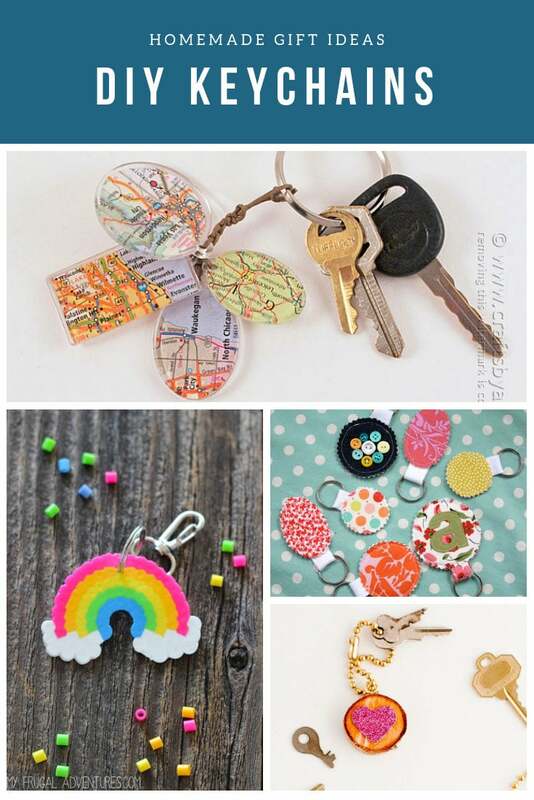 If you’re forever losing your keys try making one of these fabulous keychains to encourage you to keep them safe! 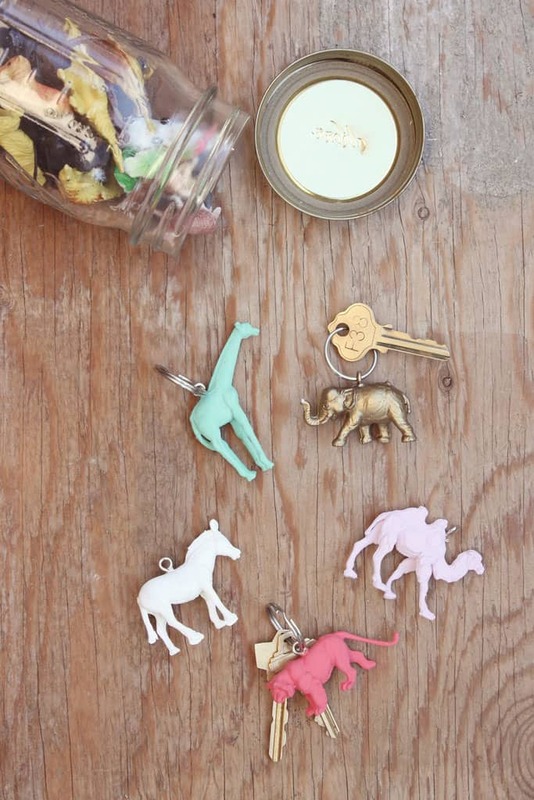 These DIY keychain ideas make great Christmas or housewarming gifts too. You are going to be spoiled for choice with these lovely ideas and video tutorials so be sure to scroll the page for all the ideas and don’t forget to pin your favourites for later! 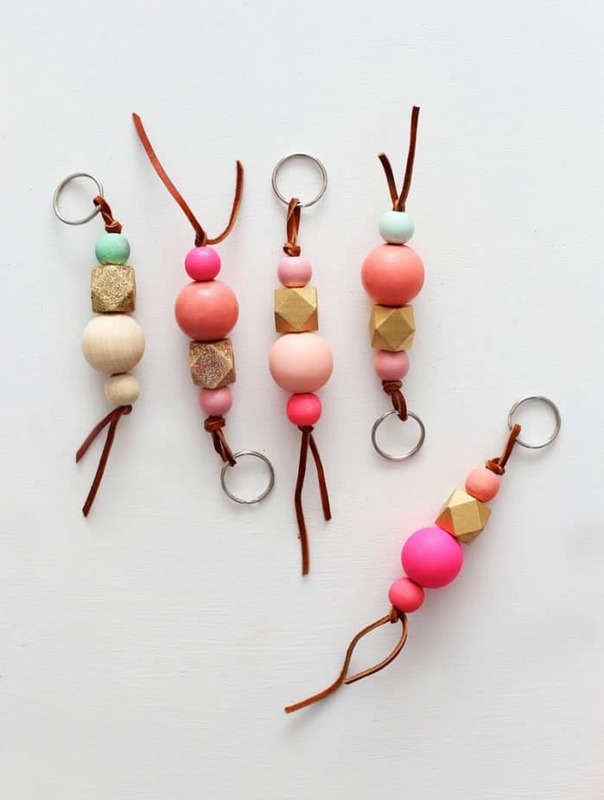 These leather beaded keychains look super stylish and would make fabulous gifts for your girlfriends. 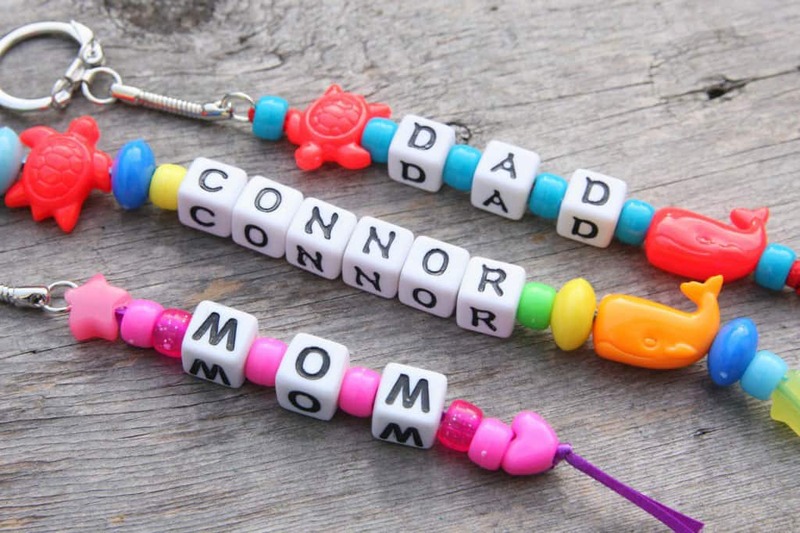 Our readers loved this project so much we have a whole collection of beaded keychain ideas! 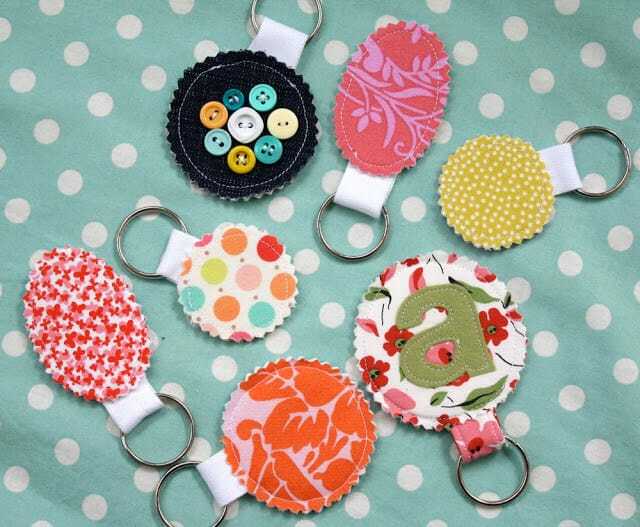 If you’re looking for fun ways to use up some of your fabric scraps stash then have a go at making some keychains! 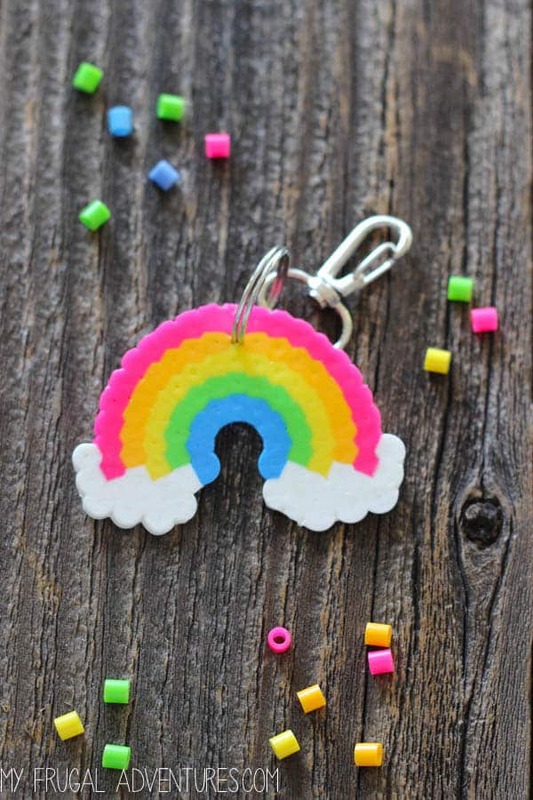 This perler bead rainbow keychain is sure to put a smile on your face every time you reach for your keys! 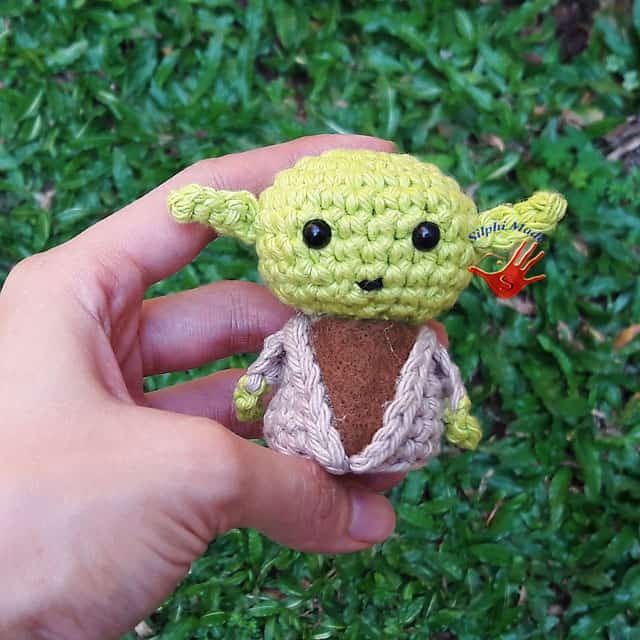 We fell in love with this little guy and found this Yoda pattern so you can make something similar. 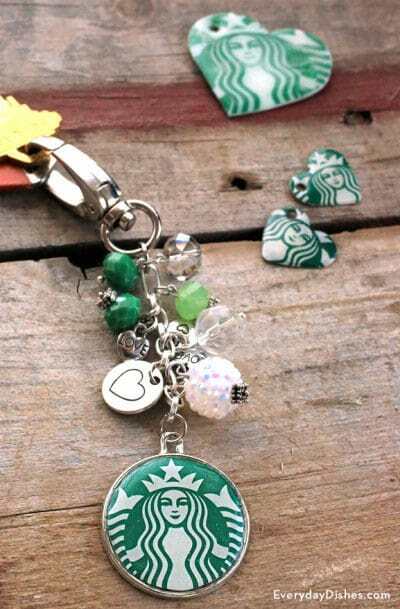 You can customize these keychains with any kind of paper punch or hole punch and then decorate with nail polish. How’s this for a unique gift for your coffee loving friend? Of course if you don’t love coffee you could use the logo from your favourite soft drink, or even a photograph of a loved one! 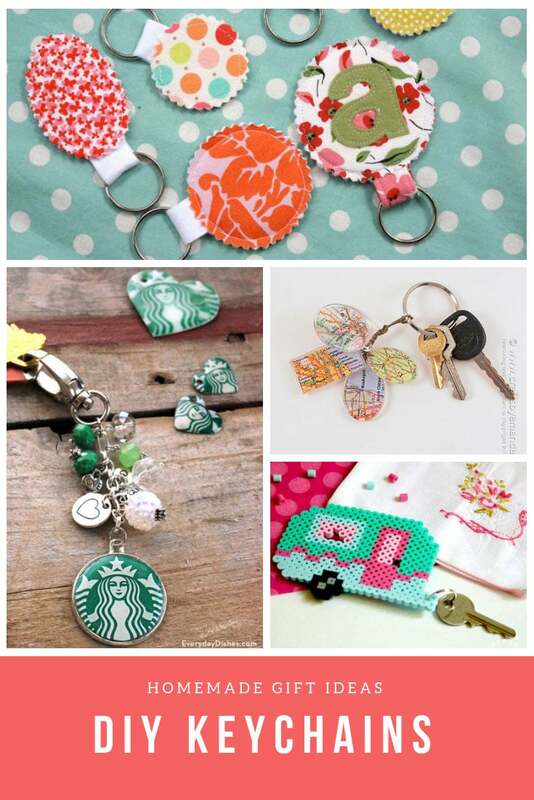 Its time to put that pompom maker to good use and create some fabulous keychains and purse zipper pulls! This Havaianas keychain is the perfect gift for a beach lover! These animal keychains started out life as plastic toy animals and have been given a fabulous makeover! 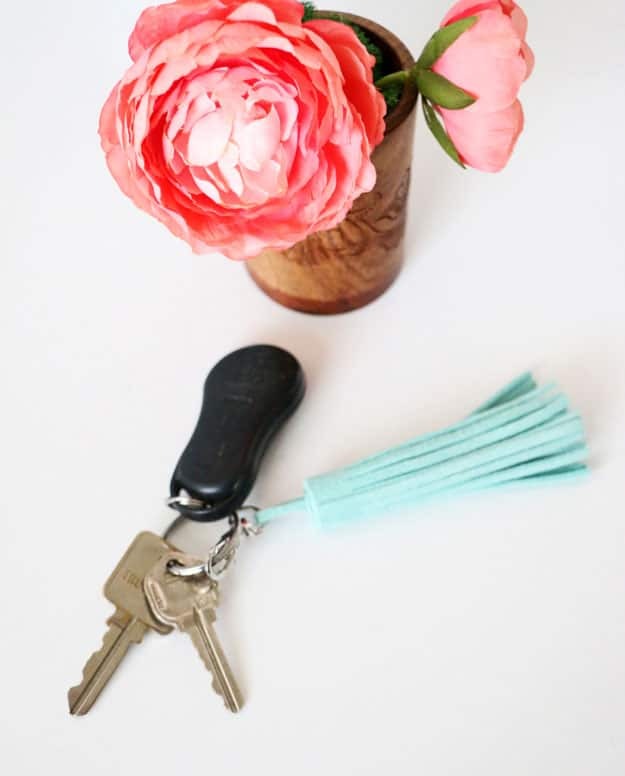 This leather tassel will look fabulous on your keys or as a zipper pull for your purse. These keychains are quick and easy to make and a great craft to do with your kids on a rainy afternoon! Grab your favourite shaped cookie cutters and get to work making as many keychains as you like. 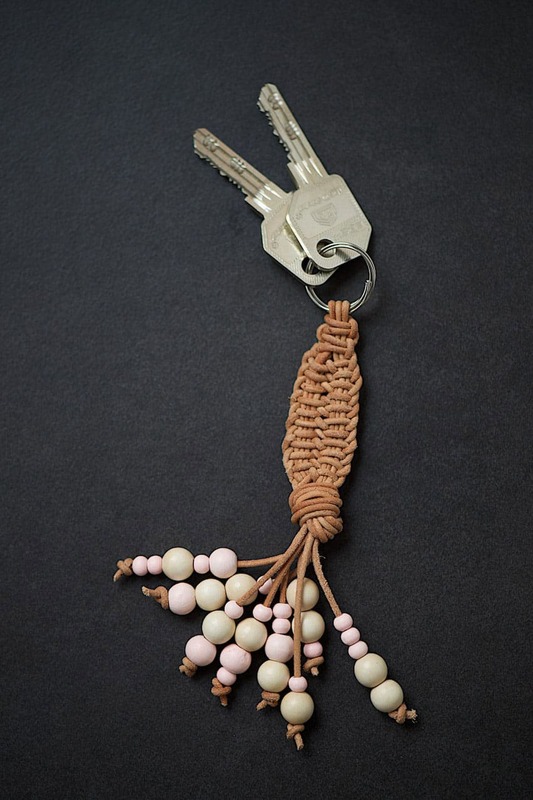 We love this macrame style keychain because once you get the hang of it you can design your own by using different knots. What’s even more useful than a keychain? A keychain with a pocket for your favourite chapstick of course! We’re on a bit of a macrame kick at the moment which is why we loved these fabulous box knot keychains! 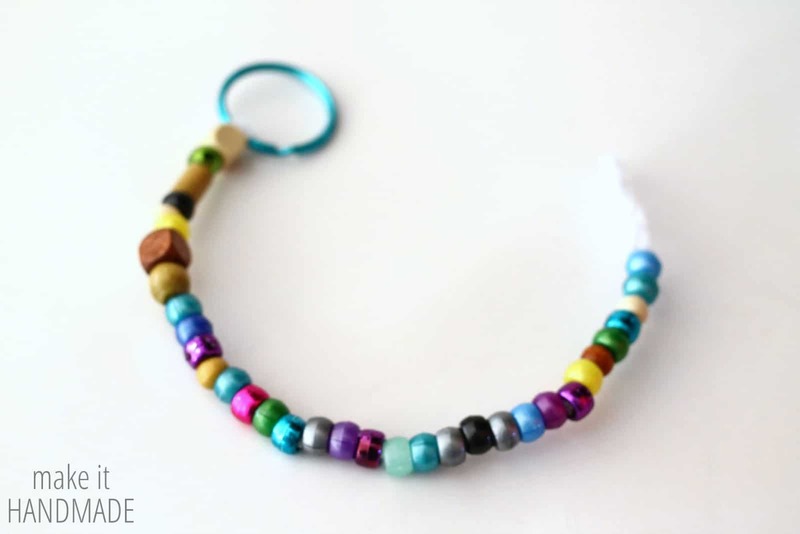 Here’s a keychain craft that is so simple your children will enjoy making them. They make great gifts for grandparents and other family members. 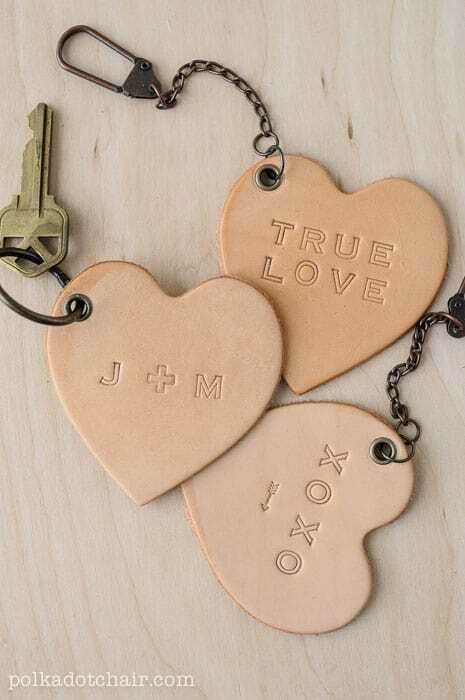 These keychains look fabulous, and expensive, but they are a DIY and surprisingly easy to make because you use pre cut leather hearts. We are in love with these tiny glass bottle keychain charms! You could make a potion bottle set as a gift for your favourite Harry Potter fan! 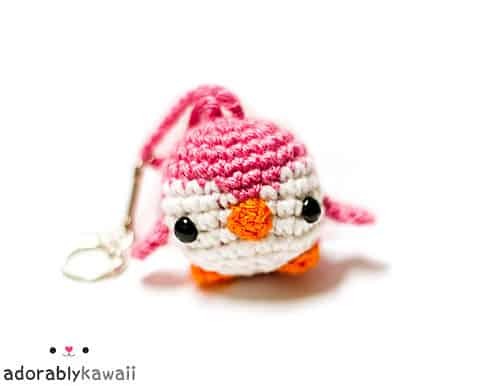 This little Amigurumi penguin is totally adorable and could be made from leftover yarn in your stash. 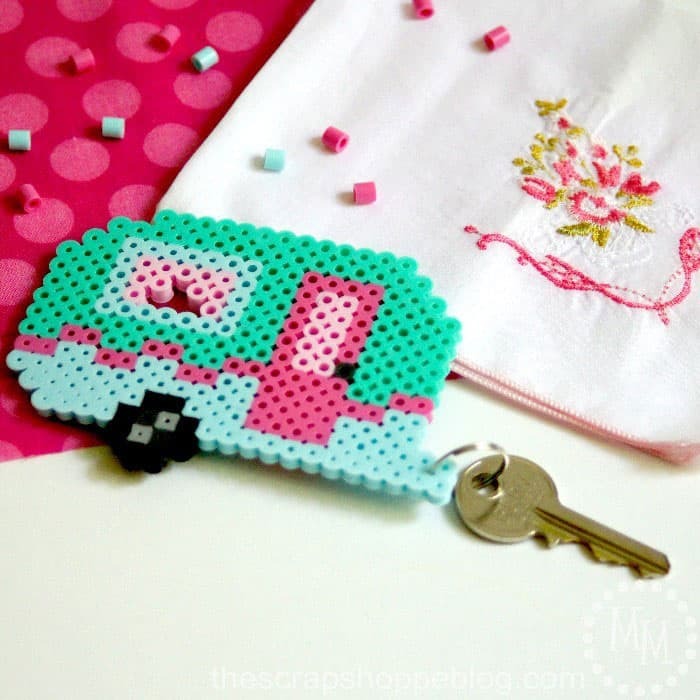 If there’s a retro camper fan in your life you need to raid your kids’ perler bead stash and make them one of these fabulous keychains. 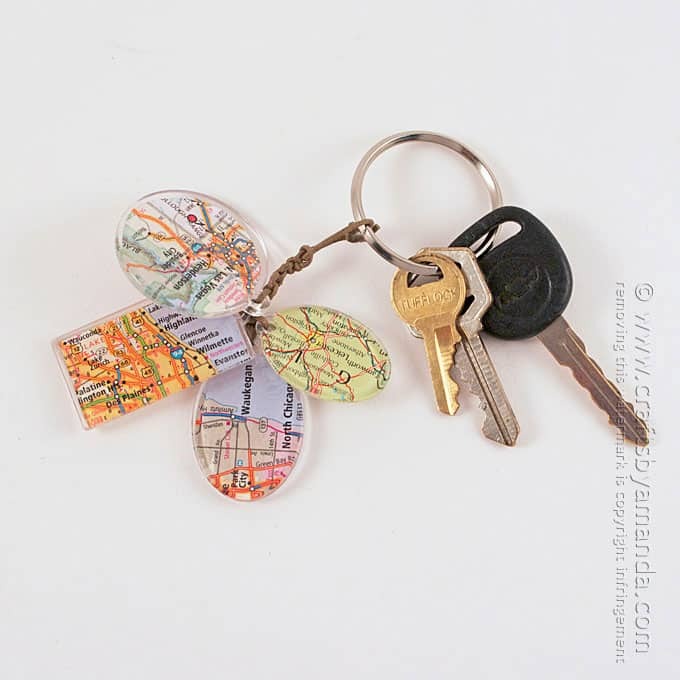 If you are struggling with gift ideas for your dad or your hubby have a go at making one of these keychain charms using maps from his birthplace or other favourite places. How adorable is this little gal? 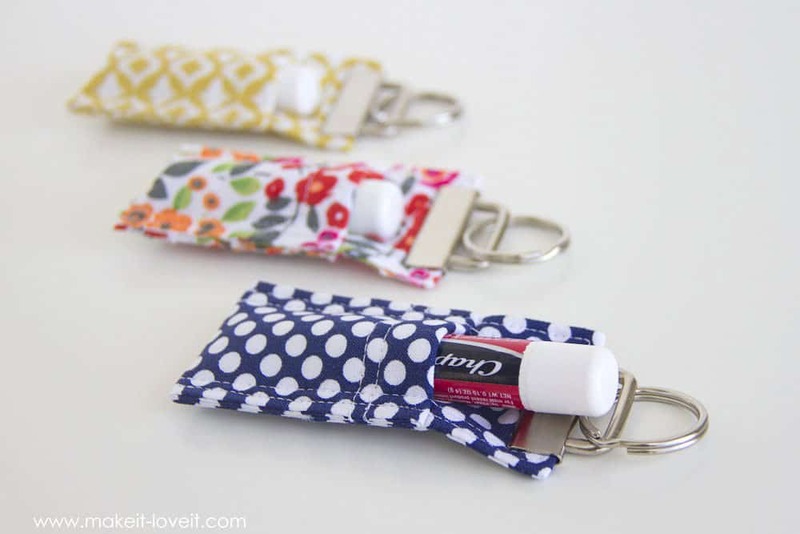 And she is super easy to make too so why not make a whole family to keep your keys safe! 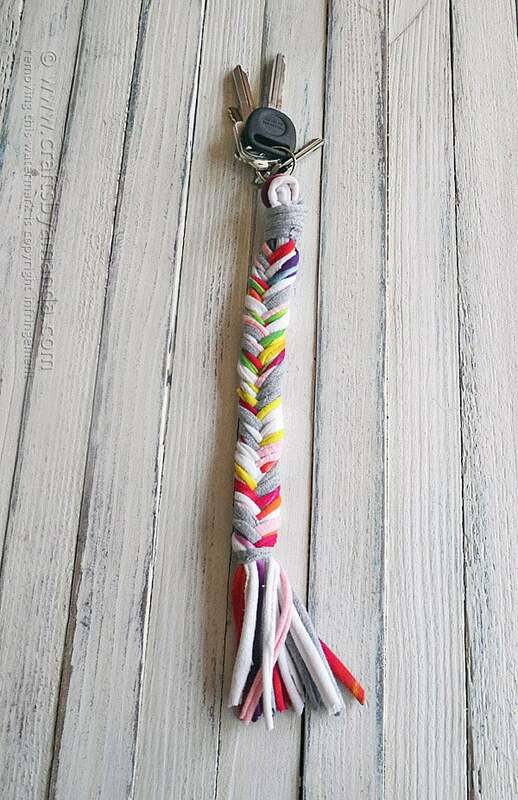 If your kids have outgrown a load of shirts don’t turn them all into cleaning rags, try making some of these fabulous braided keychains instead! 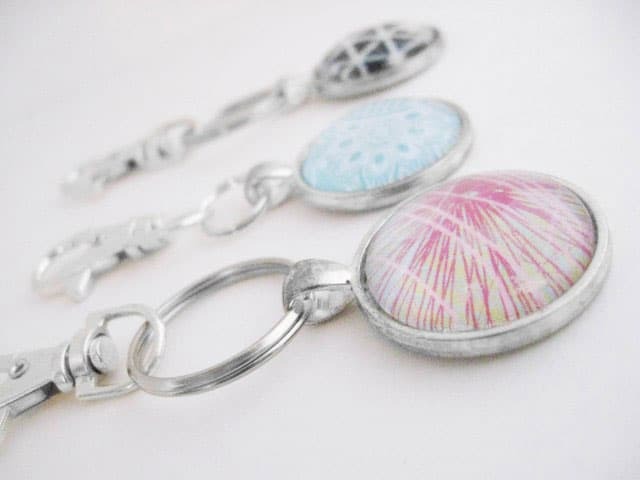 These glass orb keychains are quick and easy to make and you can customize them to your heart’s content so they make great gift ideas for any occasion. 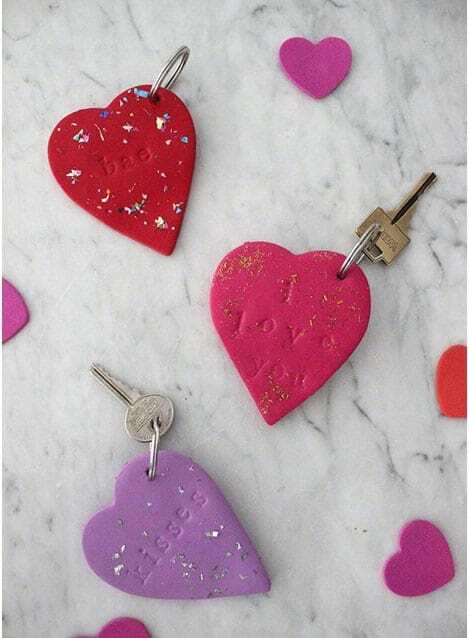 Use polymer clay and glitter to make fabulous heart shaped keychains. 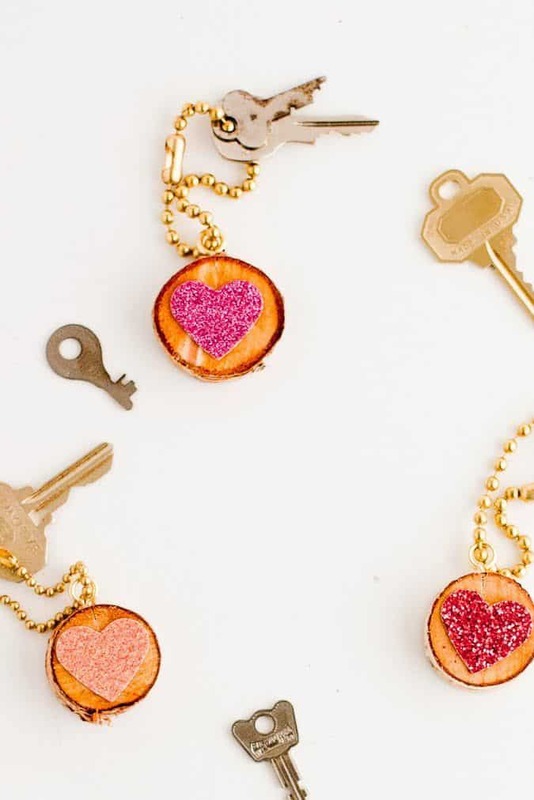 The shiny hearts look fabulous against the birch disks of these keychains. Why not make one for your tote bag, your zipper pouch or even your pup!